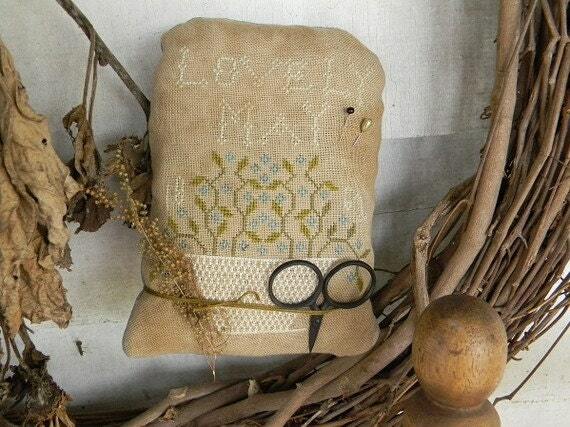 Cross Stitch Pattern called "Lovely May" Sewing Pillow. Designed by Notforgotten Farm. A beautiful woven basket full of forget-me-nots. Stitch count: 79 x 92. Model stitched on 28 count dirty linen/cashel with DMC floss.